Tesla, Inc. (formerly Tesla Motors), founded in 2003, is a Multinational American Based corporation currently present in Palo Alto, California. The company has a specialization in Electric Vehicles, Solar Panel storage, Lithium-ion battery. 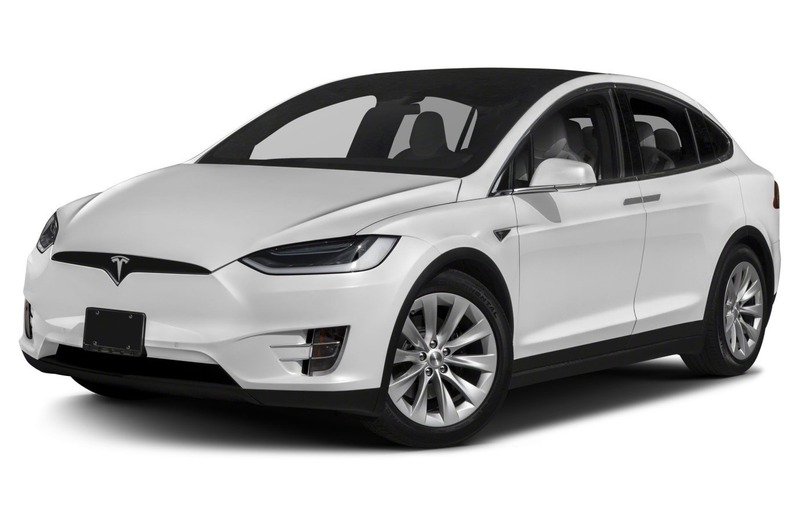 In 2018 Tesla sells the electric car models like Tesla Model X, Tesla S and Model, Powerback batteries, powerwall, solar roof tiles, solar products, and some other related products. Tesla was founded by Martin Eberhard and Marc Tarpenning and the current CEO of the company is Elon Musk. The company is currently enjoying the subsidy of federal as well as state which was estimated in 2005 resulting in at least $30,000 for each electric vehicle sold or cumulatively $4.9 billion. The company is named after the famous and all-time great scientist Nikola Tesla by the founding Members Martin Eberhard and Marc Tarpenning. In 2015 company awarded for selling the best electric car of the year. Tesla Model S was the best-selling electric car of 2015 and 2016 the universal sales of the product reached out to be 200,000. The company released several products between these years which turned out blockbuster recently in February 2018 company completes 300,000 sales of vehicles. We are saying hi to the future with Tesla Model X 100D here we are going to peep into the futuristic approach of Tesla Model 100D. Tesla is always a reliable and trustable company to Look for now they are come out with their another product with some amazing specialty and nice looking interior and exterior as well. We all are aware of the modifications of the Tesla company and now they are continuing their legacy with this cool looking model which will surely boom the market to the next level. So let’s come to the journey of Tesla Inc where we will find the highs, lows, a specialty of their new product. Tesla always believes in the best in class products and services so here we are going to look at the extremely beautiful and classy doors of Tesla Model X 100D. Here Tesla is providing “Falcon Wing” rear doors to their customers in order to make it more classy. The doors power themselves open and closed exclusively choreographed by none other than The Trans-Siberian Orchestra’s “Wizard in Winter” through the speakers. Other specialization includes Fog lamps, Taillamps, LED headlamps which makes it more stylish and classy. The high range of style, classy, swift. Finicky Falcon Wing doors, Very heavy, severe or bare in appearance interior. Now we are going through the doors of the car. Here the customer should tackle the problem of slow lifting doors as it takes almost seven seconds to lift up and lift down. The doors have sensors to open so it is suitable for those who have high ceiling parking but what about the others who are having a lower ceiling or who are having a ceiling with so many pipes. In this case, the door would be open halfway by leaving lower edge almost at the height of your neck. The only way to get rid of this problem is by using the smartphone app of Tesla. Here driver has a companion role through which the driver may freight the car forward or backward into a busy parking space. Although the owner will have a great fun by showing off the neighbors and pedestrians. Every time passenger will feel great to drive Tesla Model X because of its huge windshield that will not interrupt the front passenger head. The windshield has a fully protective UV rays cabin which makes which will protect your vision in extreme sunny days. There’s a thin black cover wiring between the header and the mirror which makes it little weird but other than that the view is so glamorous. The interior design of the car seems so comfort and it could bring nirvana to you. Although the six figured crossovers are totally missing from the Model X. The Model X provides a gigantic screen surrounded by the aperture whereas the companies focus on the beautiful displays, amazing switch gear etc. The company backs their legacy by providing camel hump headrest and flat seat which is a bit weird to look upon. The Model X really doesn’t need these old school Tesla trademark to earn its reputation as a standard electric vehicle. The model picks up the range of around 295 miles credit goes to the 100.0-kWh battery which is fit beneath the floor of the car, making it the longest ranged electrified car in the market. The model is almost 6 miles ahead of the P100D and 57 miles more than the 75D model. The car will automatically remind you if you are near to any Tesla charge station or not. You will hardly face any problem as the charging is considerably swift. The Tesla claims their high-speed of 0 to 60 in 2.9 pf P100D model where this model is bit low as it reaches 0 to 60 in 4.7. Although this model has a considerable cabin, high seating, relative silence, unobstructed view of the outside world. The handling is quite great and will not affect the center of gravity of the same. But some points are important to ponder as the vehicle feels a little heavy and the steering is a bit ordinary as it seems as digital as other cars. The base price of the 100D model jumps from $97,200 to $100,700 but it is still cheaper than the P100D which has a starting price of $141000. This model will definitely affect the market to large extent but it will still remain a classy preposition among premium SUVs. Yes, some of its specializations are little weird so what it will still remain a symbol of future. So you really don’t need the luxury to meet the future.